San Clemente incorporated as a City in 1928. Although an established community, the City was largely undiscovered by many until the past decade. I would frequently hear people talk about driving through San Clemente to get from Orange County to San Diego but never stopping to see what’s here. Today San Clemente is a popular town full of great diversity, art and culture where people live, work and visit often. The City’s founder Ole Hanson had definite goals in mind for San Clemente. Although there has been significant growth, the City continues to ensure that the vision of San Clemente’s founding father is preserved. This involves requiring that development and redevelopment projects utilize the Spanish-style architecture of the white stucco walls and red tile roofs of the past. And, with a strong awareness of social needs, the City also understands it must balance preserving the past with the present growth. Traffic is always a top concern and is synonymous with growth. Traffic congestion and parking concerns and the desire to protect and enhance the pedestrian-friendliness of the area led the City to the concept of a transit circulator or “trolley” to link the Downtown districts with the Metrolink station and other points of interest. A Trolley Committee, which my fellow Councilmember Susan Ritschel chairs, is working to make the trolley concept a reality. A rubber-tired trolley would essentially provide an alternate form of transportation for the increasing number of residents and visitors to San Clemente who want to explore the popular attractions, restaurants and shops downtown and future restaurants and shops at the Marblehead Coastal specialty retail development slated to open in spring 2008. The City is looking at proposals for the redevelopment of North Beach.The trolley would also help increase service to commuters and residents and to the tourists who utilize the Metrolink/Amtrak Service; reduce vehicle trips and emissions; better utilize parking resources; improve mobility through transportation alternatives; offer a safe, reliable and cost effective means of transportation and stimulate various business districts. To fund the project, the City will seek grant funding from the Orange County Transportation Authority (OCTA) which has offered funds to cities with programs and projects that address local transportation needs. The City will also pursue funding through other grants and public/private partnerships. It is our goal to have the trolley operational in spring 2008 to tie in with the opening of Marblehead Coastal. This date also coincides with the completion of San Clemente’s North Beach Development Plan. The North Beach Development Plan may transform this area into an active, mixed-use recreation and entertainment hub, yet allowing for open space and parks. The City has received three proposals from developers interested in competing for this project. Following an intensive review by the City, a developer will be selected to work with the City in partnership to implement the vision for North Beach and master planning for the development. 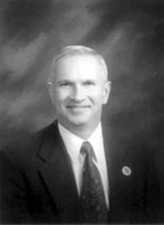 The decision will be made and presented at a City Council meeting in late May 2006.